Well, this was fun! 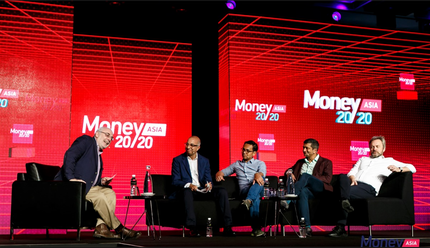 The nice people at Money2020 Asia asked me to kick off the second day of the event by hosting the “Wake Up with the CEOs” panel with Ron Kalifa (Vice Chairman of Worldpay), Aldi Haryopratomo (CEO of GO-PAY), Rohan Mahadevan (SVP International Markets of PayPal) and Laurent Le Moal (CEO of PayU). The idea was to have the delegates listen in on a real conversation between people at the top of the industry as they exchanged views on the day’s issues. It was fun and lively and from the feedback I got, it was a great idea from the Money20/20 team and I hope that they repeat the format across their other events around the world this year.